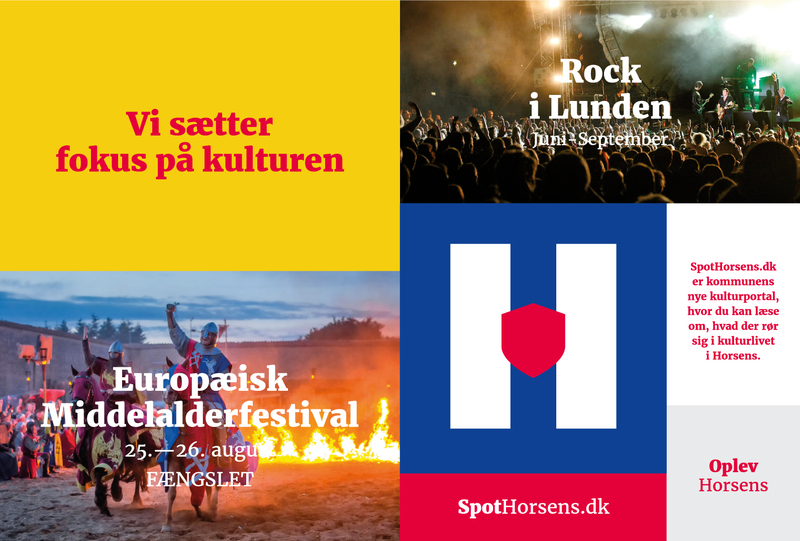 With its big stadium concerts and FÆNGSLET, Horsens has made a name for itself as one of Denmark’s leading provincial cities, constantly working to improve the local cultural life. 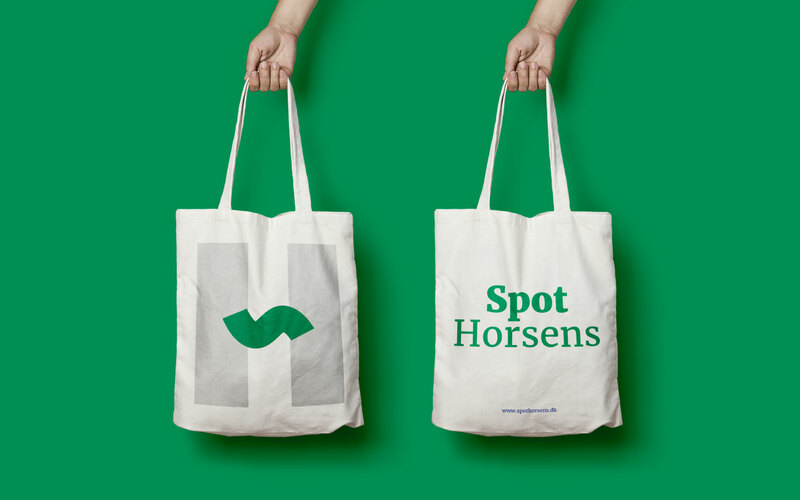 Horsens is a product of its citizens. It is they who make the city what it is; who bring change to it; who keep it alive. 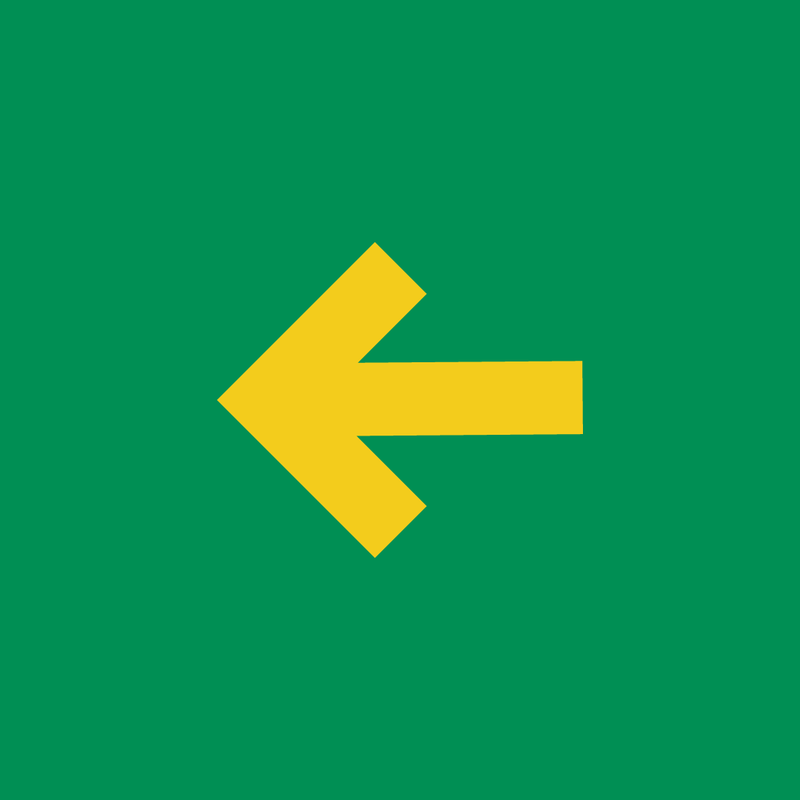 The more active its citizens are, the more life, dynamism, culture and growth they bring to the city. 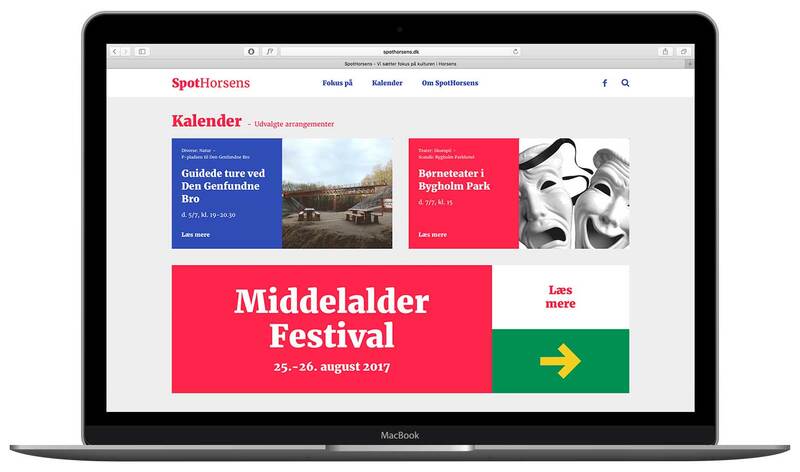 In cooperation with the Horsens Municipality Cultural Administration, We developed a branding strategy and visual identity for ‘SpotHorsens’, a curated culture portal which puts the limelight on artists in action, unique places in the city and spots where you can really feel its pulse - in short, places and events that show off the city’s flourishing cultural scene. 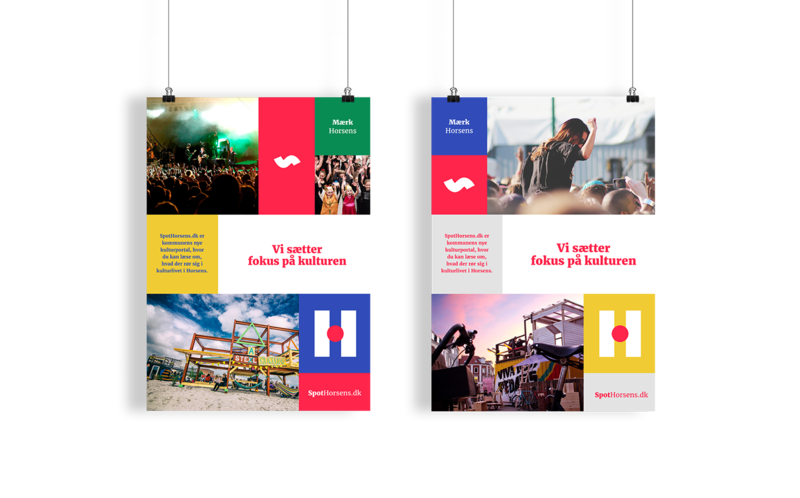 The purpose of the branding identity is to create a dynamic framework for cultural opportunities in Horsens and the cultural events and resources that already lie within the “city walls”. 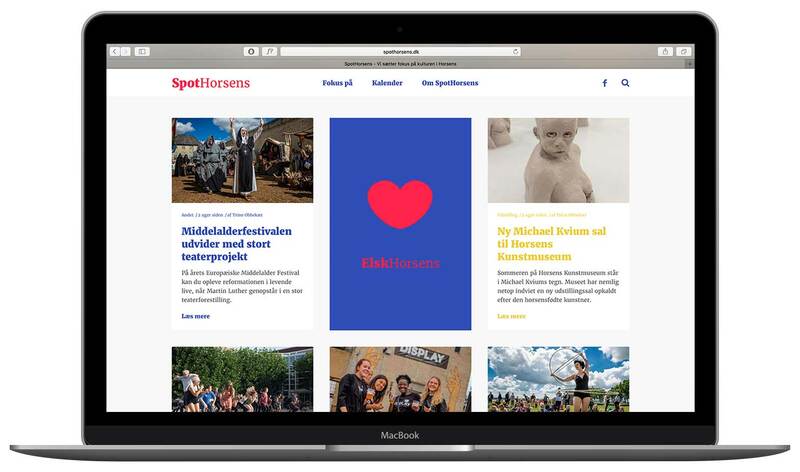 It is an identity that embraces diversity, quality and opportunities for citizens to get involved as well as a novel, courageous, straightforward and inspiring concept that invites the people of Horsens to partake in its cultural life. 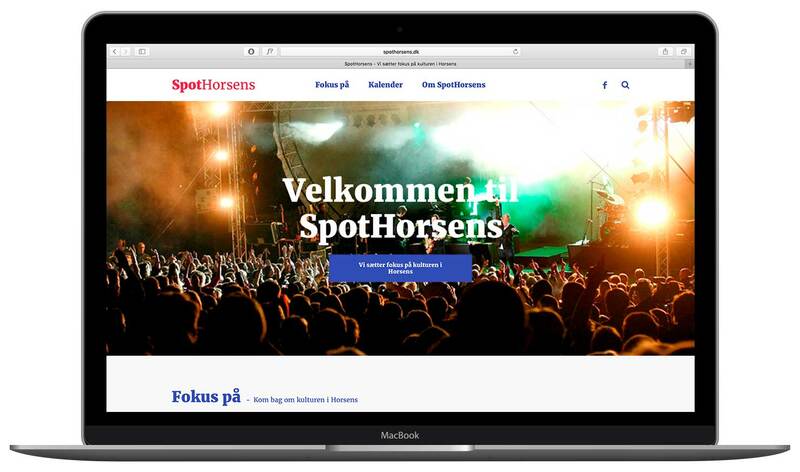 Horsens has long been known for putting itself on the map with its high-profile concert scene, enticing people to become part of its cultural life and helping push the city’s local cultural experiences to the next level, thereby creating a robust local foundation for cultural development.  It is an approach that makes sense in every way.